METAL PULP AND PAPER: Hello Diva. So glad to be catching up with you. Thank you for taking the time to talk with us here at Metal Pulp And Paper. We appreciate it. DIVA SATANICA: My pleasure! Thank you so much for giving me the chance of spreading the word about us! MPAP: So, how are you doing? DIVA: Everything's fine here, thanks! I've been pretty busy in the past months due to several collabs that I did for another big names in the Spanish and South American scenes. Mägo de Oz, Leo Jiménez, Legado de una Tragedia. I'm pretty excited with the following plans for the future! MPAP: For those that haven’t heard of your band, the platform is yours now. 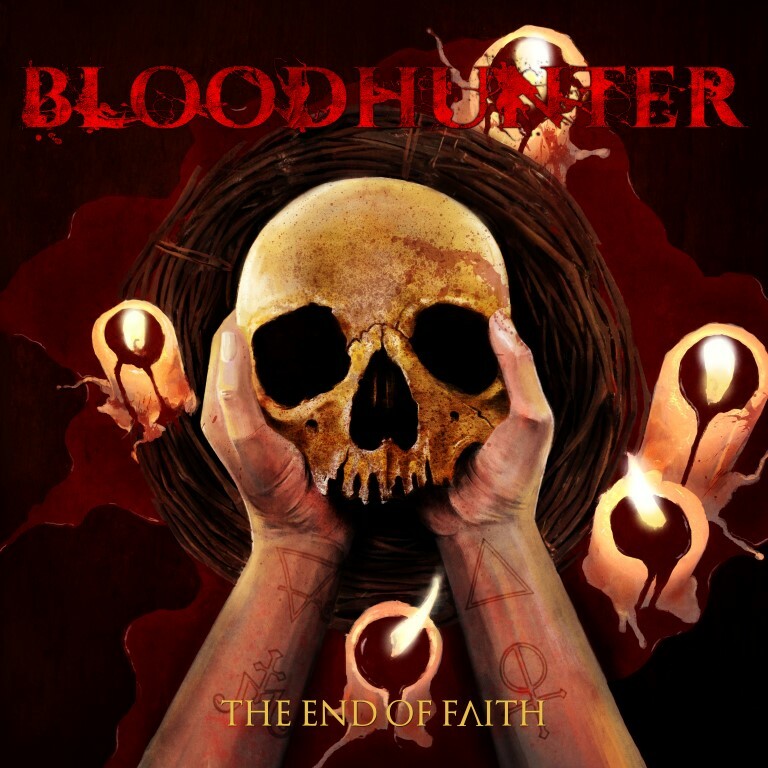 Tell us why we should check out your band Bloodhunter? MPAP: The band has been around since 2008, and after some lineup changes, you would join the ranks as their vocalist in 2009. What were you doing before this? DIVA: Fenris, our guitar player and founding member, created this project in 2008 to develop some demos that didn't fit at his other bands at that time. He worked with many different musicians, even with a melodic singer in the beginning, but things didn't went well. I didn't started to sing until Fenris asked me to try to write some lyrics for a couple of songs in 2012. Right after that he asked me to join their rehearsals and that's how I started to growl. If he hadn't trusted me, I'd never considered to start growling. He was very patient with me because the first days I used to sing looking to the wall instead of looking to the band… It´s been a long ride for me. MPAP: The band would put out a demo in 2013, but it wasn’t until a year later that you would put out a self-titled full-length. Why did it take so long to initially get an album out since the band’s inception? 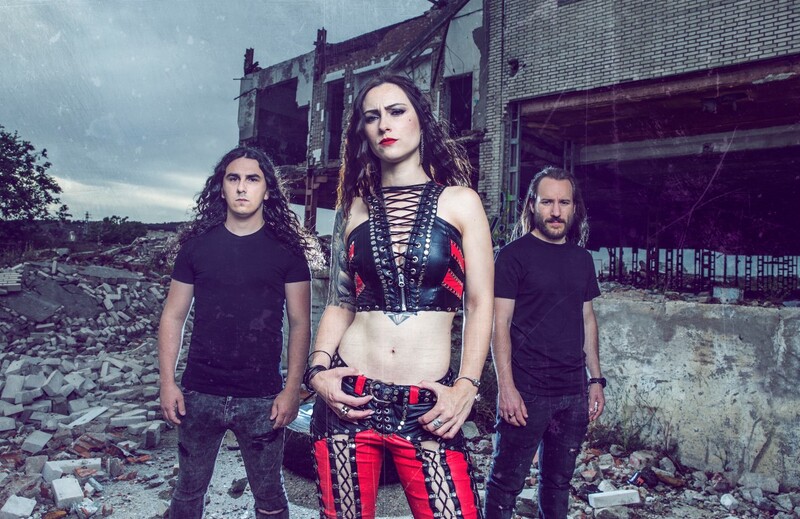 DIVA: We recorded our first demo in 2012 in order to complete our line-up because at that time we couldn't find other musicians to join the band. We needed a drummer and a bass player and we thought that if we released something, it would be easier to find those musicians. When Éadrom joined the band as our bass player and Phoguette as our drummer, we started to record our very first album Bloodhunter in 2014 at Ultrasound Studios-Portugal with Pedro Mendes and Daniel Cardoso (Anathema) as the producer. MPAP: Now let’s talk about your 2nd full-length, The End Of Faith, released October 2017 through Xtreem Music. What can a new listener expect on this one? DIVA: The End Of Faith shows the evolution of our sound. Everybody makes mistakes when you're about to record a first album, but a second one is a very different thing. We've been working our asses off to be better musicians and that has a big impact in our sound. I studied very hard to have better skills as a growler and I learned new vocal registers. We are closer to the technical death metal now. MPAP: Take us through some of these songs "The End Of Faith," "Eyes Wide Open," "The Queen Beast," and "Possessed By Myself." When you were writing these songs, were you trying to get a message across to your fans? DIVA: The End Of Faith is an album that was born in a difficult time in our lives. We have to take some serious decisions individually. We had to choose between the past and the present times and ask ourselves 'where do we wanna go and where do we wanna be'. This album deals with self-empowering and self-discovery but everything under the metaphor of occultism. "The Queen Beast" is dedicated to Tristessa from Astarte, one of my main influences and a good friend that passed away 5 years ago. She was the first woman to create the first black metal band formed only by women. MPAP: Another song found on this record is called "All These Souls Shall Serve Forever." The music video for it already has over 60k views. That has to make the hard work you put in to make this record make you feel good, correct? DIVA: Nowadays it's very important to have a good impact on social media. Videoclips, band pictures... are a must. We learned that you need to build a good self-image to show to the fans. The video was directed by Ix Valieri and we wanted to deal exactly with this subject: why is so important to have a good image nowadays? What is reality and who is the real you? Why we need the social approval to carry on? MPAP: You also cover "Crystal Mountain," a song originally done by the death metal band Death. Tell us a little bit about this if you will? Why did you decide to cover this song? 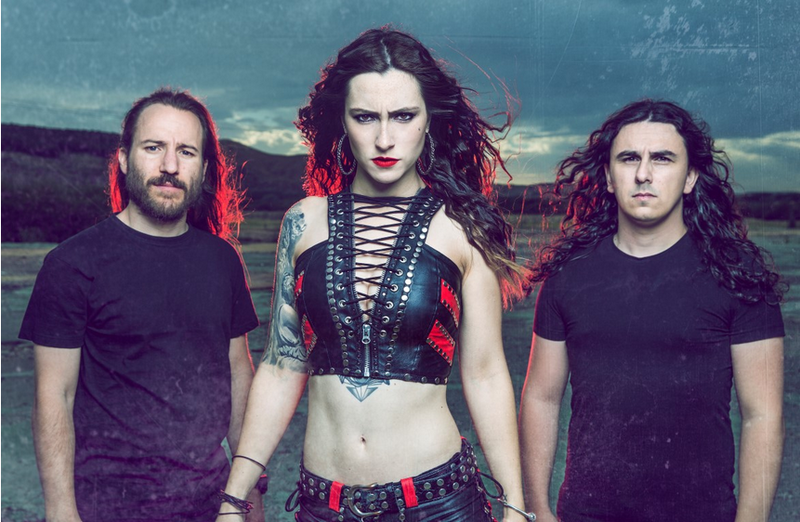 DIVA: Everybody from the beginnings tried to define us like the Spanish version of Arch Enemy. Yes, we are a female fronted band. Yes, we play death metal. And yes, I chose this name that is one of their songs. But no, we don't pretend to be another copy of Arch Enemy. We have many different influences in this band from Judas Priest to Behemoth, and Death is one of the fav bands of Fenris. Death was the very first death metal act so it's simple. MPAP: How do you feel you have grown as a vocalist since the self-titled debut compared to The End Of Faith? DIVA: I worked so hard… And I'm still working on it! With the first album I just couldn't sing properly. I didn't have idea of what I was doing, and I had serious problems to record the album or just simply to survive to 30 min of singing. So, I thought that something was really wrong, and I needed to do something to improve my skills. I watched many YouTube tutorials, I talked to many extreme metal singers and I studied every single vocalist's performance when I attended a show. It took me about 2 years to have a better technique and then I started the 'Extreme Vocal Lessons' to help other growlers to improve. That's how I discovered different vocal registers. MPAP: Before we bring this interview to a close, let’s talk about where you’re from, Galicia, a community in Northwest Spain. What is the music scene like there? Is your music and the death metal genre welcomed there? DIVA: Well, we have a small community, but it depends on the music genre. About 10 years ago the gothic scene was the most prevalent, but nowadays, alternative styles as metalcore are the winners. We have a big summer festival called Resurrection Fest that started many years ago being a small act and now is one of the better metal festivals in the world. We are very proud of that because that means that our scene is in good shape. MPAP: What’s next for Bloodhunter? New music? Any tour announcements? DIVA: We are working on our third album while we are playing some shows of this final leg of the tour. We will be at some summer fests in Spain and we are working to possibly play in other countries in Europe and South America for the upcoming album. This is our main goal in the following future. MPAP: On behalf of myself and Metal Pulp And Paper, I’d like to thank you, Diva, for taking the time to do this interview. We look forward to what Bloodhunter does to finish out 2019 and beyond. Any last words for everyone reading this? DIVA: Thank you so much for your time, it's really appreciated. Hope we can meet someday soon on the road. Stay bloody!